What is it like to be a kid with Attention Deficit Hyperactivity Disorder? Children with ADHD often struggle academically, socially and emotionally. They may be disorganized, forgetful, easily distracted and impulsive. And like all kids, they want to feel normal, says Dr. Sharon Saline, author of What Your ADHD Child Wishes You Knew. Saline, a psychotherapist who works with ADHD children and their families, argues that an informed empathy for ADHD children -- for what they experience on a daily basis -- can inspire parents and teachers to work with these children in ways that will help them grow into responsible and happy adults. She advocates the Five C’s method -- self-Control, Compassion, Collaboration, Consistency and Celebration -- as a roadmap for reducing family stress and equipping children with the skills they need to thrive. Saline says that it’s distressing for kids when parents absorb and reflect their distress. Children in her practice want their parents to know, “If I’m upset and then you get upset, there’s nobody to help me rein it in and get back to center. If you lose it in response to my losing it, it’s kindling on the fire.” Kids with ADHD need adults to model how to manage emotions in the face distress. Remember that self-regulation is a skill -- something that children and adults can strengthen with strategic practices such as mindfulness training. Children with ADHD respond well to predictable routines that help them organize their day. This includes consistent rules and consequences. When possible, says Saline, “do what you say you will do” while recognizing that you are aiming for steady, not perfection. Saline says that the kids she works with “can’t stand it when parents say they are going to do something and then they don’t do it.” For example, a parent might say, “I’m not going to pick up your stuff anymore,” and then clean up their child’s piles when they are at school. Saline estimates that the ratio of positive to negative feedback ADHD children receive is 1:15. Kids often feel like adults only notice when they “mess up,” not when they try. 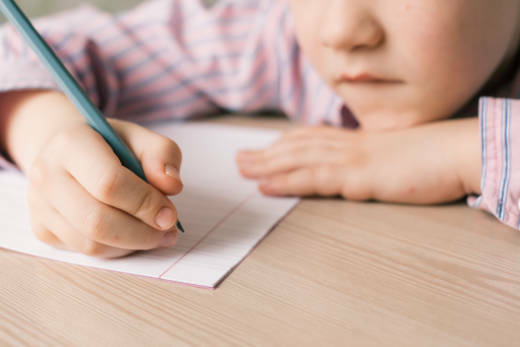 Saline says that children and teens with ADHD can grow wary of feedback because it so rarely focuses on their strengths. Look for ways to celebrate your child’s strengths, says Saline. “They get up in the morning, they go to school, and they do it over and over and over again. That is a strength. Build on that desire to try. We often look at what the shortfall is. We have to tap into these strengths.” Pay attention to children’s interests and skills -- from technology to doodling to drama -- and explore ways children can use these interests to strengthen other areas of their life. Saline describes one little boy she worked with who had big feelings to manage. She asked him if he would like to take an improv class. Four years later, he is a fixture in drama performances, an activity that builds executive functioning skills such as memory, planning, and focus. Saline says that medication can help some kids with ADHD but “but pills don’t teach skills.” Children need consistent support in developing their executive functioning skills. “You have to separate your brain with your sense of self. It’s easy for these kids to ask, ‘What’s wrong with ME? Why am I less than? Why am I failing?’” Instead, she talks to kids about how their brain works, how it grows, and what they can do to strengthen their executive functioning skills. If your child has just been diagnosed with ADHD or if you are struggling to help your child manage their life, Saline offers these words of support.